I’ve never stayed overnight in Tagaytay. 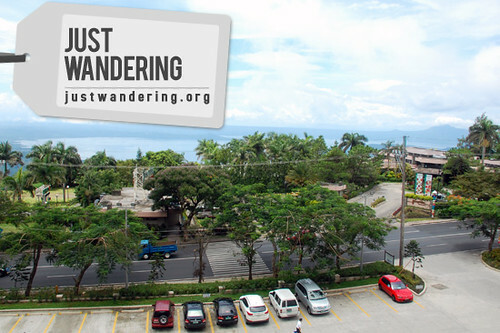 Its close proximity to Metro Manila makes it easy to just drive up, spend the day, and drive back as the sun goes down. Thanks to Summit Ridge’s invitation to try out their facilities, I discovered the merits of spending the night in Tagaytay. Situated on Kilometer 58 along the National Highway, the hotel is on the other side of the ridge — the side of the road opposite where the prime view of Taal was. Summit Ridge compensates for this with height: it’s built elevated from the road and rises up to 9 storeys high. The view down the lake is obstructed by the trees across the street on the 4th floor, but it should be clear from the higher level. 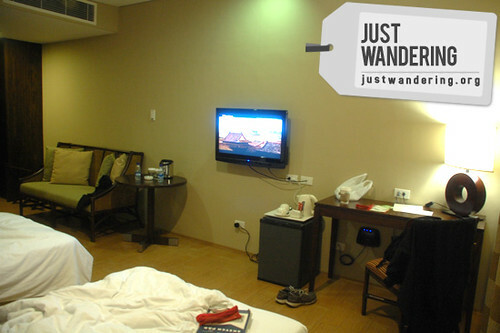 Each room faces the lake and have a balcony, so even if you can’t see the volcano, you can still enjoy the fresh Tagaytay air. The window actually open in the room, so you can opt to let the mountain air cool the room instead of the air conditioner. Guests with cars can park their vehicle at the hotel’s outdoor parking, or they can opt to park it in the basement, sheltered from the elements. Walking into the lobby, we were warmly greeted by the hotel staff. 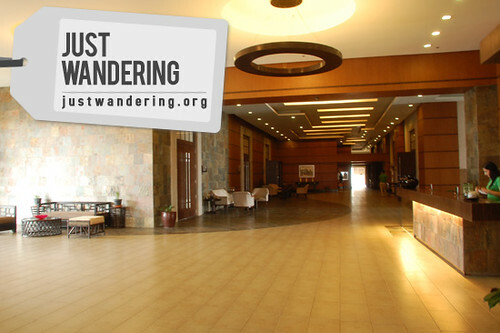 The lobby was spacious and airy — like all the common areas within the hotel, there was no air conditioning. 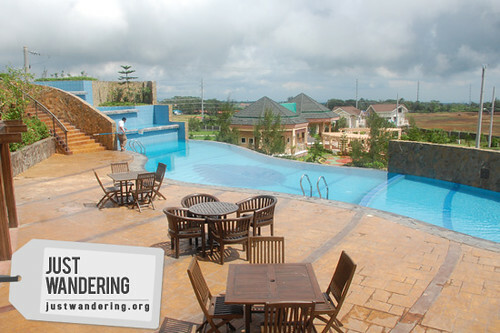 This allows the guests to enjoy the chill weather visitors flock to Tagaytay for. View from the 4th floor room balcony. Gigantor and very obtrusive watermark not included. I was given a gift certificate for a Twin Classic Room, which was good for 2 or even up to a family of 5. Aside from the standard closet with personal safe, personal fridge, twin beds, phone, desk and TV, we were thrilled to see a sofa that can seat 3 (with plenty of pillows!) 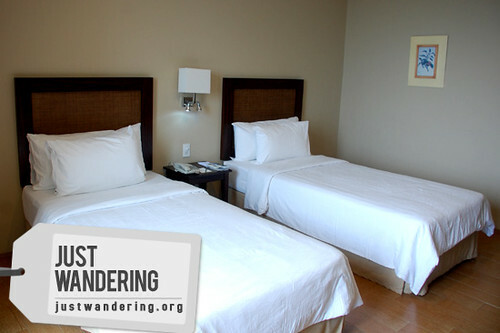 and I, personally, was elated to see two fluffy pillows on the beds. Being an Internet addict, I was quite pleased to see a wireless router underneath the desk. This ensures that I get a strong wi-fi signal at any point of the room. The ensuite toilet and bath was roomy: there was enough space for two people puttering inside at the same time. There was no tub, but this means there’s a roomy shower stall (plus, you don’t have to clamber into the tub whenever you have to shower — I hate that!) The shower was the rainfall kind, which was directly overhead. If prefer the handheld shower head, fret not, because they have that too! We rested after our day spent driving from Manila to both ends of Tagaytay. While Sunshine slept, I was torn between checking Facebook and channel surfing on the 32-inch LCD TV. As I told Shine, it’s only when I travel that I get to watch regular TV. It doesn’t help that there’s more than 30 channels to choose from, including Discovery Channel, History Channel, National Geographic and Discovery Travel & Living. The following day, we went down to Annie’s, Summit Ridge’s in-house restaurant. It’s run by the same people running Classic Cuisine or C2. The restaurant looked like your typical hotel restaurant, but there was one aspect of this restaurant that I’m sure has endeared a lot of guests: flannel blankets. There were colorful blankets draped over the seats for guests to use in case it gets too chilly inside the restaurant. There was something different in how they do breakfast here too. 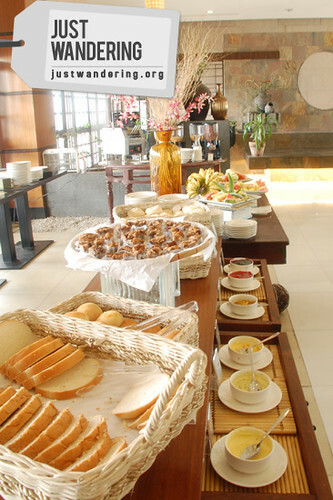 One might be terribly disappointed to see only breads, fruits, jams, flavored buttered, fruits, cereals, juices, coffee and tea in the buffet. But that disappointment will melt away once the server presents you the plated buffet menu. You are given a choice between American, Continental and Filipino breakfast plates, and you can order as much as you want, and can even modify the contents of each plate. The reason why it’s plated is to ensure the quality of the food; each plate is prepared and cooked individually as ordered. The Visayan choice of the Filipino breakfast was a hit with its beef tapa, fried dilis and danggit, eggs, ensalada and rice, while the West Coast Platter of the American breakfast was also very much appreciated. After breakfast, we checked out the hotel’s outdoor facilities. There was a garden, which might be used for outdoor functions, and a swimming pool, which might be a great way to cool off in the summer. Right beside the hotel is the Promenade, which is a small shopping complex with restaurants, cafés, fastfood, supermarket, hardware, money changers and even a CD-R King. 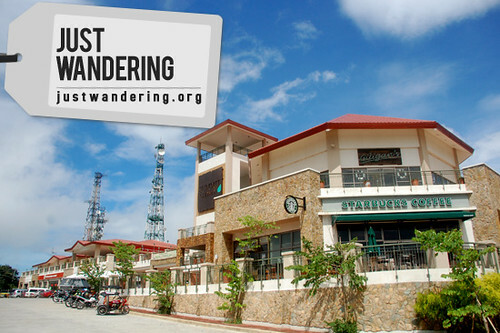 This is very convenient for guests without cars, since it can be pretty hard to go around Tagaytay without your own car. It was then that I realized there is merit in staying in Tagaytay for the weekend: without the need to beat the SLEX traffic, you can take your time to savor the sights, the food and the company of good friends. Thank you Summit Ridge and Robinson’s Land for the gift certificate! 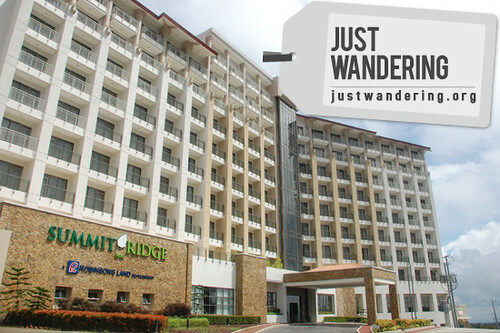 For Summit Ridge rates and promos, visit their website at www.summitridgehotel.com. hi..will plan to visit there when i am back to pi. Hi! How many stars would you give Summit Ridge? hi po! ask lang po if san direction kng right or left from tagaytay city junction coming from sta.rosa,laguna?